Dammit, the breakdowns are back and I got sidetracked but I’m more than determined to get everything squared away before I take off to my happy place – a Backstreet Boys show in Vegas with my boy band minded gal pals. 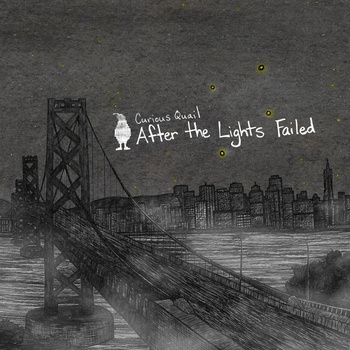 So before the tears started flowing I was really enjoying Curious Quail’s After The Lights Failed. There was something really honest about it and I appreciated the musical truth brought about with their alternative delivery decorated with hints of chiptune and indie tossed about. “Instant Gratification” wasn’t as instant as one would think, but “Moon + Stars” sure was. Once it really got going, I was in love with the orchestration more than anything. If you’re like, where’s the chiptune, well I found it in another favorite – “Heavy Rain.” And while I really want to say one titled “Giraffes” was the best, nothing could top “Refugee Camp.” It reminded me a bit of The Tower and The Fool – and if you’ve read my words for some time, you know how big of a compliment that is. That was the one that tipped the scale on the honesty factor and I could just feel it. Songs like that are why I love music. Shaking out the tears to wrap this up and let you know that if you like your alternative music with an indie backbone and chiptune appendages, check out Curious Quail today. It’s not that hard. All you have to do is click all the links I’ve graciously provided. So no excuse to fall for After The Lights Failed, out May 30. There’s no real significance to the song chosen this week. I am going to see the Backstreet Boys this weekend in Vegas so maybe I just have boy bands on the brain – or maybe I wanted an excuse to use a Harry Styles GIF…Anyways, these were some of my favorites of this deliciously addictive pop song. Thing started off slow for me. Nothing really managed to make me turn my head until things got a little weird with “Goner Pt. 1” and then the album started to show some heart with “Start Over.” Then it was a string of ones to definitely check out. You had the heart, the cool cat ways of “Cataracts” and then the very folk inspired “West Virginia.” From the folk of WV to the soul of “We Belong Here,” the aforementioned tracks are the ones that continued to pull me back. 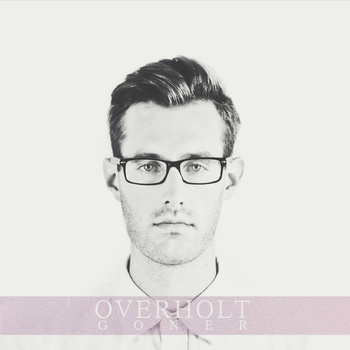 As my head continues to clear, I bit a farewell to my time with Overholt and wish him well on his musical journey. I suggest you join him if you dabble in up-and-coming showcases in your hometown and are always on the hunt for someone who’s got a easygoing demeanor chalked full of layers and also like artists that fall somewhere between Matt Nathanson and Landon Pigg. That sound like you? Then check out Goner, out now and check out “Wise Young Men” below.